Myanmar’s Lower House on Friday approved a motion to review the country’s controversial constitution. The 2008 constitution was enacted by the then military-led government, and approved through a rigged process. Democracy advocates and ethnic minority groups consider it an infringement on fundamental rights and freedoms which would be inherent in a democracy. The motion advocates forming a committee of law experts to begin the reformation process. The current constitution preserves 25% of Parliament for military officials and prohibits opposition leader and human rights activist Aung Suu Kyi from becoming president because her children hold foreign nationality. 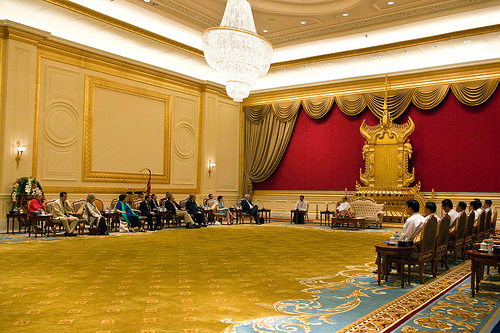 Suu Kyi has repeatedly called for amendments to the constitution. Burma and the Common Law?